The Moving To Work (MTW) program, authorized by section 204 of the Omnibus Consolidated Rescissions and Appropriations Act of 1996, offers a limited number of housing authorities the opportunity to design and test innovative strategies for addressing the needs of their tenants and communities. Increasing housing choices for low-income families. There are currently 39 housing authorities with MTW status. Each has an agency-specific MTW agreement with HUD, detailing the flexibilities granted in order to meet program goals. All existing agencies have had their agreements extended through the end of 2028. Each year, the housing authority completes an annual plan, to be approved by HUD, and an annual report on the outcomes achieved. Congress authorized the expansion of the MTW program to 100 additional agencies in the 2016 Consolidated Appropriations Act. HUD anticipates the first cohort of new agencies will be added in 2019. Public Housing Authorities eligible to apply to MTW Cohort 2 are invited to attend HUD’s free webinar tomorrow at 3:00 PM ET. On March 14, HUD’s Office of Public and Indian Housing released a notice offering eligible PHAs the opportunity to apply for admission to the MTW program, as the second cohort under the expansion process. Following recommendations from the MTW Research Advisory Committee, the second cohort will be required to study alternative rent reform policies designed to increase resident self-sufficiency and reduce PHA administrative burdens. Per the notice, the second cohort will consist exclusively of mid/large sized agencies, with 1,001 units or more of combined public and HCV housing. The alternative rent policies will be limited to non-elderly, non-disabled households, so eligible agencies must have 1,000 or more existing non-elderly, non-disabled public housing and/or HCV households within their units. The conference begins at 3:00 PM Eastern Time on March 26, 2019; you may join the conference 10 minutes prior. Step 1: Dial into the conference. Need an international dial-in number? Step 2: Join the conference on your computer. When you access the entry link above, you will be provided a choice - to install the WebEx plug-in for your preferred browser or to join the web conference using a temporary path. Either option is acceptable. Per the 2016 MTW Expansion statute, eligible PHAs must be high performing, meet certain size and selection requirements, and represent geographic diversity across the country. Additionally, the expansion of MTW includes a significant research and evaluation component. Housing agencies will be added to the MTW demonstration as part of a cohort, and each cohort will be directed to enact a specific policy change subject to evaluation by HUD. HUD has created a research advisory committee, including members of HUD, housing experts, and existing MTW agencies, to determine which policy changes will be enacted and evaluated. MTW Test Rent #1 – Tiered Rent (Income-Based): Households are grouped by income into tiers. MTW Test Rent #2 – Stepped Rent: 5% Step (Decoupled from Income): Rents are increased annually (or, in the HCV program, the participant contribution is increased) according to a fixed schedule of 5% of Fair Market Rent (FMR) by bedroom size. MTW Test Rent #3 – Stepped Rent: 3% Step (Decoupled from Income): Rents are increased annually (or, in the HCV program, the participant contribution is increased) according to a fixed schedule of 3% of Fair Market Rent (FMR) by bedroom size. MTW Test Rent #4 – PHA Proposed Alternative Tiered/Stepped Rent: PHAs may propose a tiered or stepped rent that is different from the three HUD test rent policies above. Agencies interested in applying to the second cohort will be chosen through a two-step selection process that is outlined in the Notice. PHAs selected will be required to forgo the ability to utilize certain rent reform MTW waivers/activities outside of those within the scope of the evaluation, these waivers are listed in the Notice. Additionally, PHAs selected may not pursue RAD conversions to Project-Based Rental Assistance during the evaluation time period, but can still pursue Project-Based Voucher conversions. Agencies who are interested in applying must submit a letter of interest by June 12, 2019. To view the full notice, click here. Please contact MTW Program Manager Nicole Barrett at nbarrett@clpha.org with any questions. 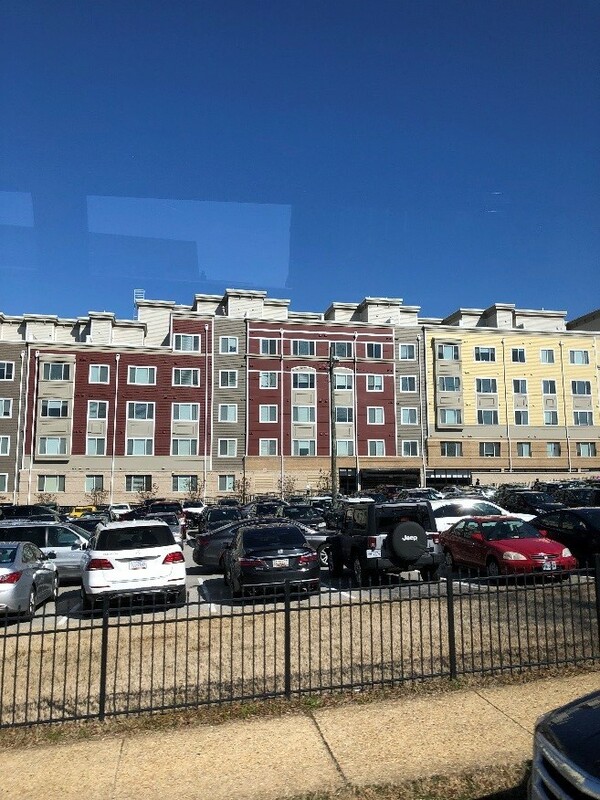 Congressional staff who focus on housing policy for key committees, Senators, and Representatives heard about the mission, work, and challenges of public housing authorities during a bus tour of several District of Columbia Housing Authority properties on Tuesday morning. The tour, hosted by DCHA in partnership with CLPHA and the Congressional Public Housing Caucus, showed staff the real-life impact of federal programs such as Moving to Work, HOPE VI and Choice Neighborhoods Initiatives that DCHA has used to redevelop properties for residents while revitalizing surrounding neighborhoods. 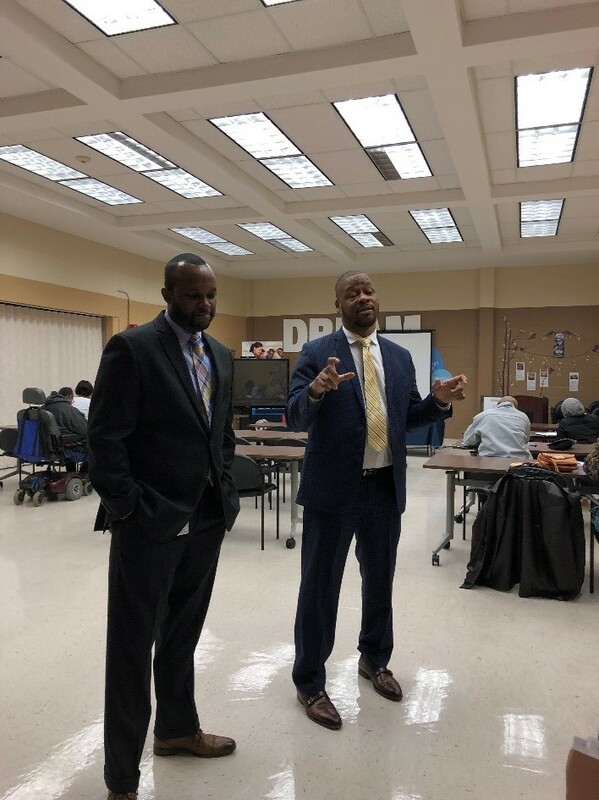 The tour offered a look at four communities including a site visit of Greenleaf Gardens and the Southwest Family Enhancement and Career Center, which was created and supported with MTW block grant funds to be the hub of activity for DCHA’s Workforce Development Initiative. 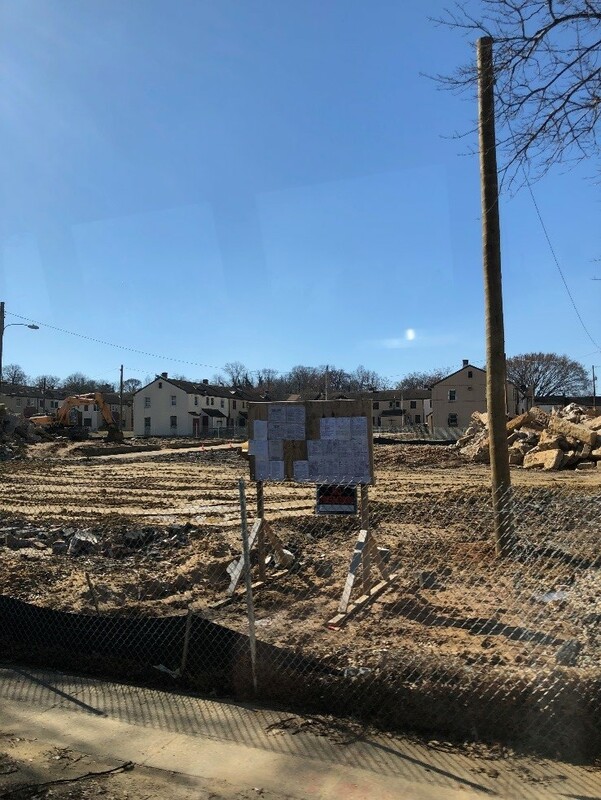 Barry Farms, first phase of construction. Barry Farms has 432 public housing units. It is part of DC’s New Communities Initiative, an effort to transform the community into a mixed-finance, mixed-income neighborhood. The Bixby, a mix of market rate housing and public housing in the booming Navy Yard neighborhood. It has 195 units, including 39 public housing units. In response to a January 5 Washington Post article focused on new research about where voucher holders live, CLPHA Executive Director Sunia Zaterman submitted a Letter to the Editor to emphasize examples of PHAs’ innovative housing mobility strategies. Although edited significantly for length, the version published in print and online describes landlord recruitment and retention efforts, and calls for additional local flexibilities and sufficient federal funding. CLPHA was informed today that HUD will be publishing its required Paperwork Reduction Act (PRA) notices for its revised Annual Contributions Contract (ACC) and the Moving to Work ACC for the expansion agencies on Thursday, December 27, in the Federal Register for a 60-day comment period.